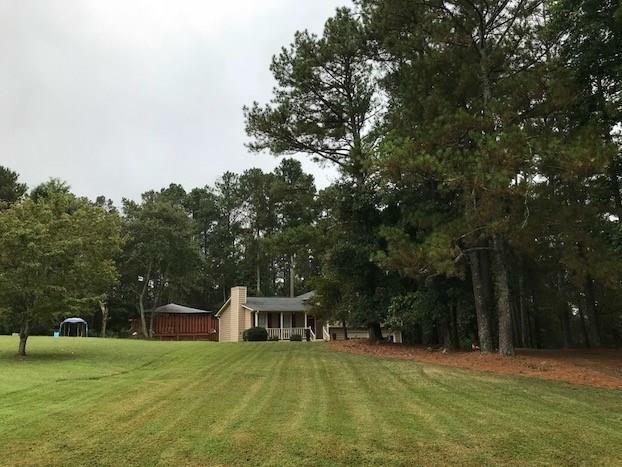 Great 3 bed/2 ba split level on 1.44 acre level lot in Loganville. Greatroom w/vaulted ceiling, eat-in kit with solid surface counter tops and an abundance of cabinets, stainless steel appliances and open to greatroom. 3 spacious bedrooms, master w/2 closets, master bath has sep garden tub and shower. Entertaining deck part covered with small fenced area in backyard. Don't miss out on this great opportunity. Directions: Hwy 81 South, Right On Claude Brewer, Right Into Subd. Home Is On Left.